With online businesses gaining notoriety within the Internet world, it is best for your own digital business to keep with the latest technologies and web design trends. As we all know, WordPress is one, if not the best web design platform nowadays, as it powers more or less 20% of the websites running on the World Wide Web. Along with its wide range of plugins and extensions, WooCommerce is perhaps the most popular and essential tool that most business and eCommerce websites owe their success and achievements. That is why we have gathered some of the best WordPress themes and templates that are powered by the notorious WooCommerce plugin to let every entrepreneur and business owners experience the benefits that this website tool offers. So, make sure your online business does not get behind and take your pick among these carefully selected WordPress themes. They are guaranteed to give you the best functionalities that your customers will surely love. To start with, here is Woostroid. A multipurpose WordPress theme, this template comes with a wide range of unique features that makes your online stores faster, better, and more user-friendly. Powered with two eCommerce plugins, namely WooCommerce and Ecwid support, this theme is used as a universal solution for any business niche. It features theme demos that are easy to install and customize through the drag-n-drop layout builder adnd live customizer. Next is Shopist, a stylish WordPress theme that has a modern and elegant design on a fully responsive layout. It is characterized by color palette of neutral shades that will surely bring your products to the forefront, while its classic and polished aesthetic will definitely enhance your brand’s image. 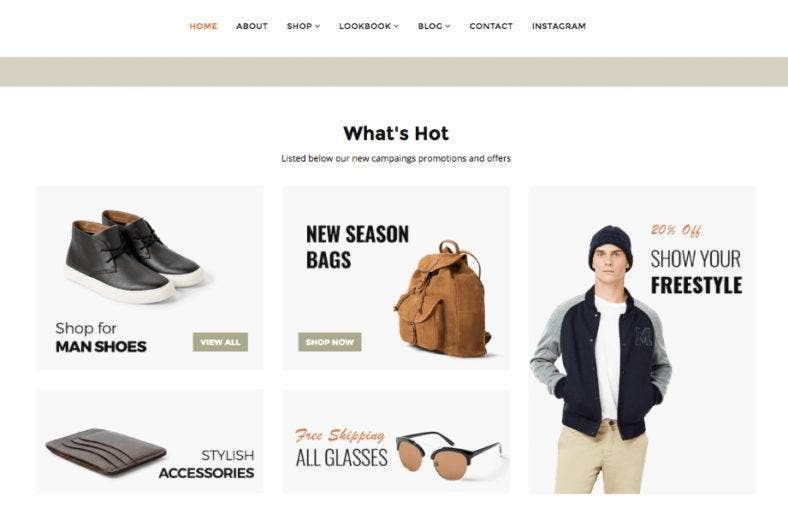 Built with WordPress Standard and Redux framework, this theme provides you the flexibility and versatility to create awesome shopping pages and eCommerce websites. 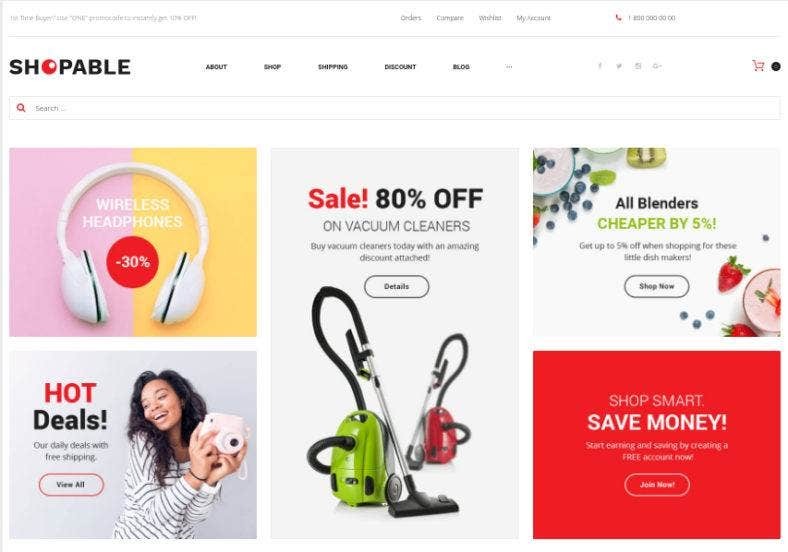 Shopable, on the other hand, is a multiconcept store responsive theme from WordPress that is packed with WooCommerce features to give the way you present your product extra impact. These features include an advanced banner grid management, product carousel, categorie widget and on-page custom menus among others. All of these features a highly customizable through the WordPress Live Customizer which allows you to make changes and see them live. 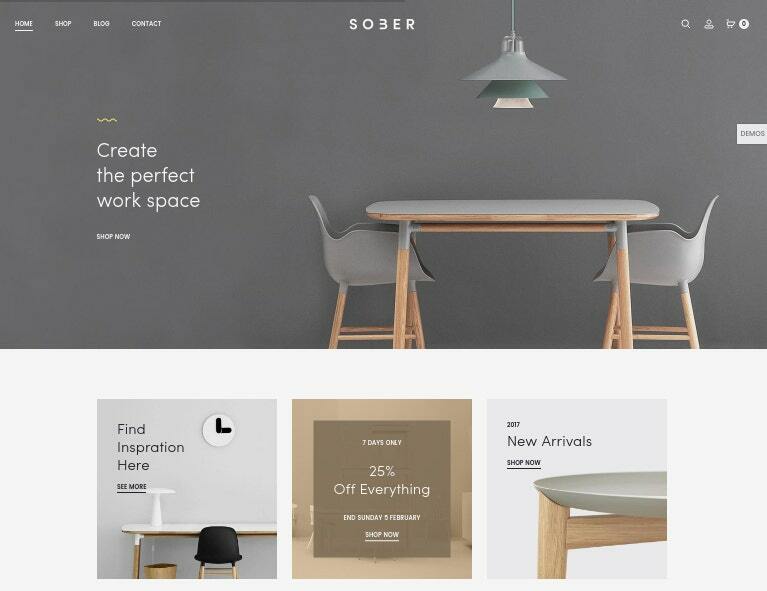 Another modern and styish theme is Sober, a WordPress eCommerce theme that is built with Bootstrap, powered by Visual Composer, and intergrated with WooCommerce. Perfectly suitable for any business niche like fashion, furniture, digital, cosmetics, electronics, and more. This template comes with a number of theme demos that you can choose to match your brand ans are easy install with just a single click. Highly customizable with robust functionalities. A fully responsive WooCommerce template, Classico boasts of its up-to-date mix of design and functionality that will surely turn your store and businesses an inspirational shopping destination. With an extensive collection of theme variants and layouts, you will be able to sell products, showcase your portfolio, or share your expertise with blog posts with this theme. Its updated and improve admin panel enables you to manage your online business easily. This clean and contemporary WooCommerce theme guarantees high functionality and fleibility despite its simple and minimal aesthetic. 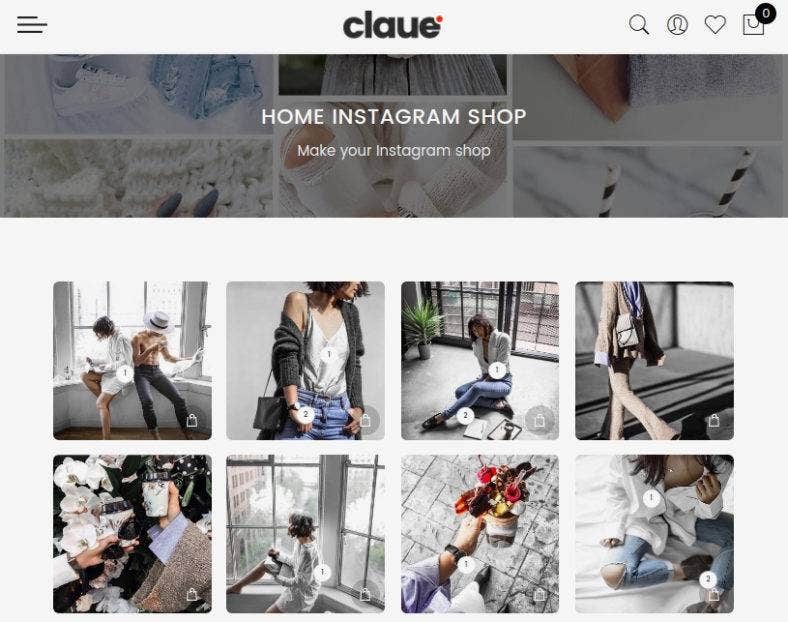 With over 10 stunning demos to choose from, you can create a powerful eCommerce website that contains product variation swatches, product bundles, a lookbook collection, an instagram shop, and much more with Claue. Fully responsive and retina ready, it gives your products the best visual representation on all devices. 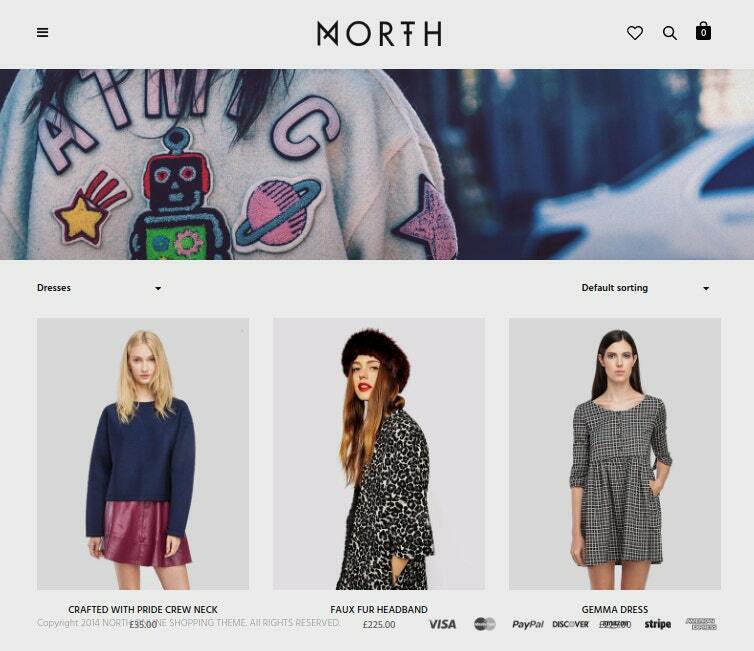 North is a creative eCommerce template that comes with a fullscreen layout that is easy to use and extremely flexible. You can also easily change the color, backgrounds, headers, and nearly all the sections on this theme according to your preference or needs. Moreover, this theme comes with unique account pages and six exclusive plugins which boost the theme’s functionality. WooCommerce ready and SEO friendly, this is the right theme to choose. From personal to professional, corporate to commercial; Brand is a perfect theme to you use to build a striking eCommerce website that will surely catch the eyes of buyers. 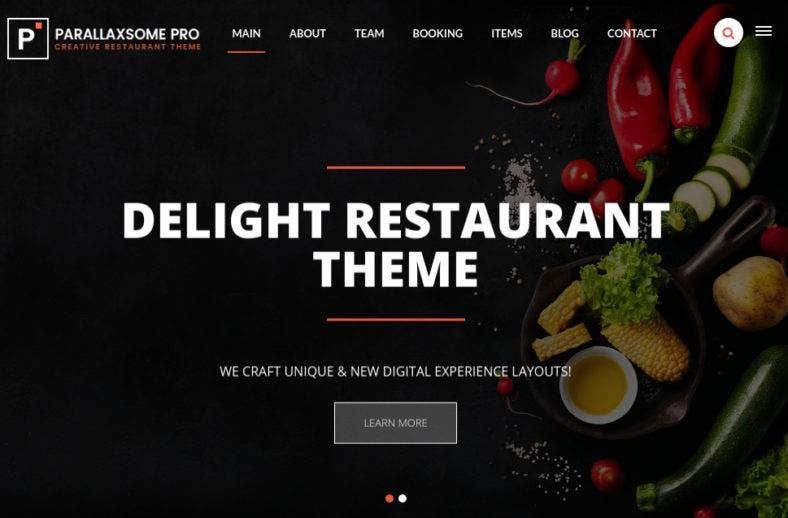 With a simple layout, this theme definitely gives off the clean yet professional vibe which generates trust and loyalty with customers. And with its numerous theme tools and options, it provides countless design possibilities so you can build the best online shop that suits your business needs. With an edgy and state-of-the art aesthetic, Shopy is a fresh and minimal WordPress theme integrated with eCommerce capabilities through WooCommerce. It also comes with the powerful Theme Options and Live Customizer so you can customize the look of your website pretty easily. Professionally designed and developed, this theme gives you multiple post and pagelayouts, unlimited ad spaces and positions, and custom widgets over a responsive design. 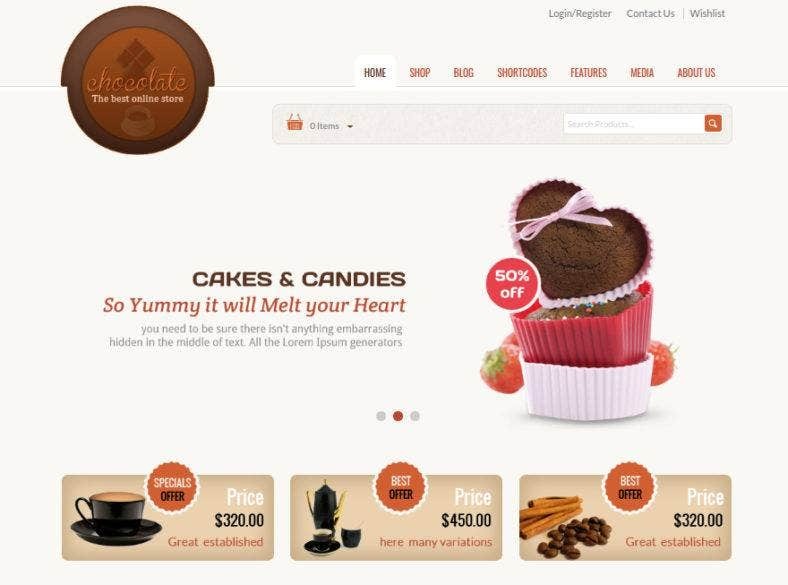 As enticing as this template looks, Chocolate is a WooCommerce responsive theme that comes with a bunch of great features and attributes that will surely entice customers to your online business. Among these features are powerful admin options, unlimited color choices, easy widget positioning, various blog and post layouts, Revolution Slider, and a WooCommerce Shopping Cart. Particulary designed for food businesses such as chocolate and coffee shops. 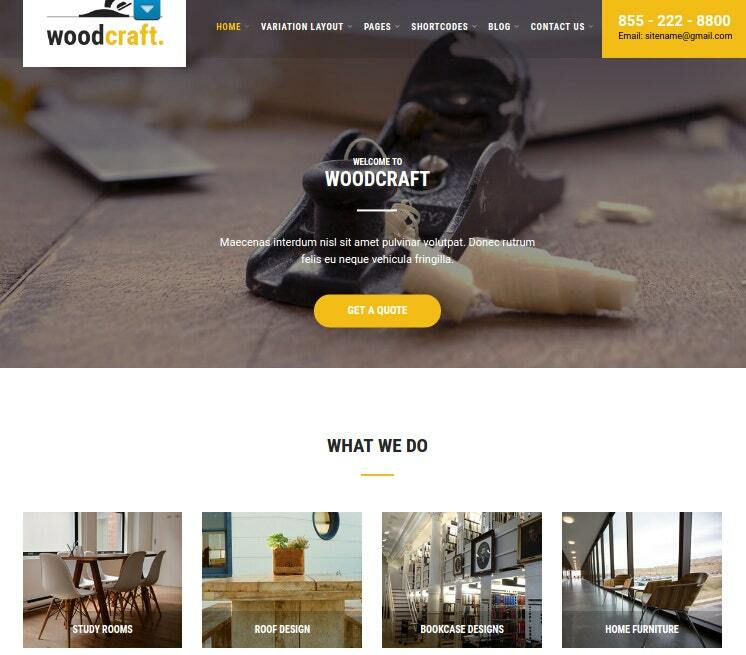 Woodcraft, as its name implies, is a furniture store WordPress theme that you can get for no cost at all as it is free. Despite its complimentary nature, this theme does not skimp its users with features that only premium websites have. With a plug and play WooCommerce compatibility, it takes a little to no single amount of effort to make your ordinary website into an eCommerce one. The theme is also easy to customize to give you enough flexibility. 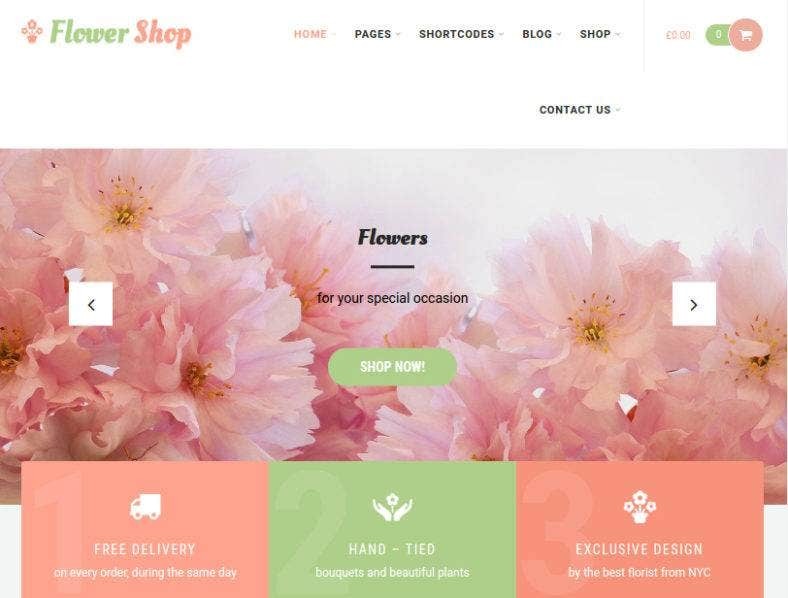 This responsive and mobile-friendly WordPress template is especially made for florist and other types of entreprenuers who are into the flower business. Characterized by a beautiful pastel color scheme, this theme will perfectly represent your products the best way possible. 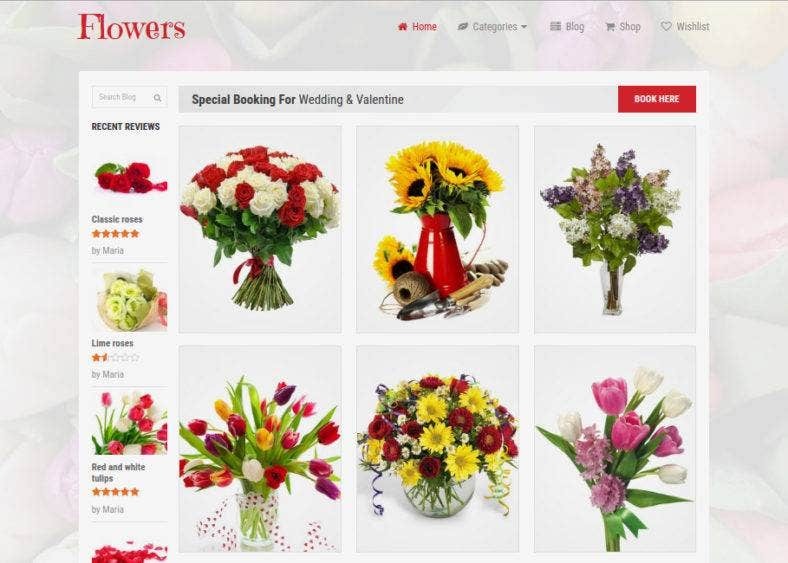 Both SEO and SMO optimized, Flower Shop is also WooCommerce compatible to give your web store lots of awesome functionalities that your customers will definitely love. 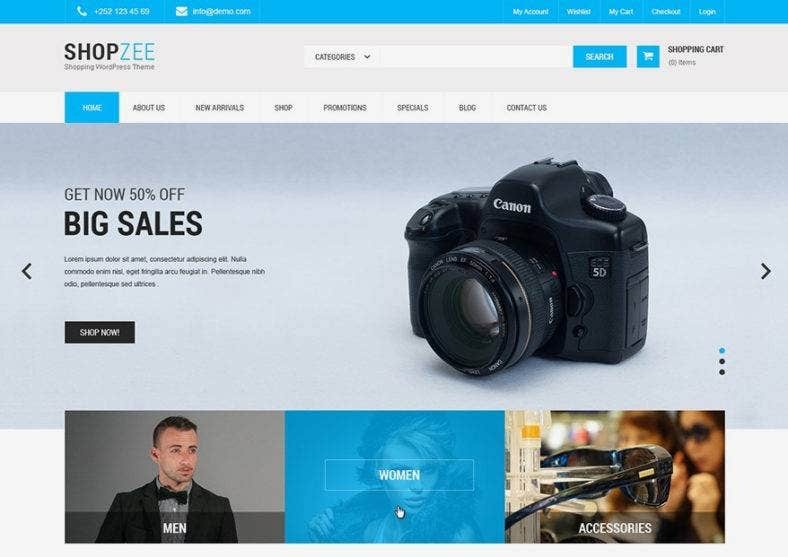 Another eCommerce WordPress template that runs with the WooCommerce plugin is Shopzee. This theme comes with a highly customizable design that lets you work out of the box and create a stunning eCommerce site that provides your customers a unique shopping experience. Other features that this theme comes with includes a homepage slider to showcase product highlights, widget-friendly sidebars, headers, and footers as well as a responsive design. A multipurpose WordPress theme, ParallaxSome is an elegantly designed template that comes with an awesome one-page layout and parallax scrolling effect. This modern and trendy template offers three feature-rich demo collection that you can select for different business niches. along with mutiple layout options, a couple of header styles, a full-width slider, parallax menu, and unlimited theme color; you can never go wrong with this theme. 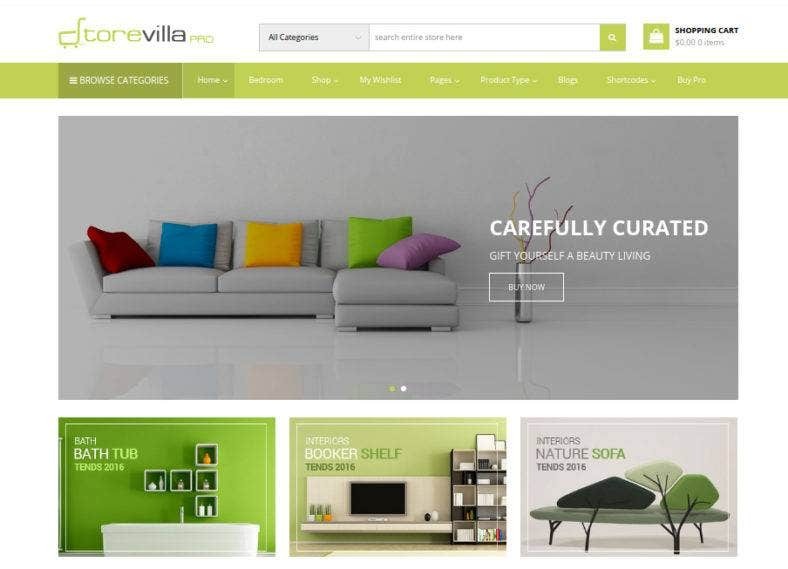 Considered the best premium WooCommerce theme, StoreVilla is a complete eCommerce template for every online store and business website. A feature-rich WordPress theme, it is built with the best level of WooCommerce integrations along with its many robust extensions. 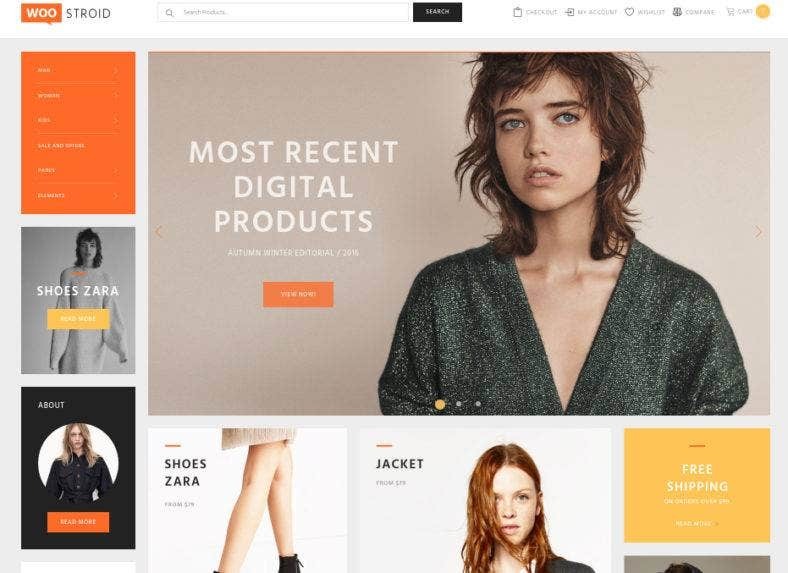 With a top-notch beautiful design and unlimited customization possibilities, the theme boasts a great toolset of theme settings and options to let you build a succesful online shop. Easy Shop, on the contrary, is a simple WordPress theme that comes with a clean and minimal design. However, this theme does not shy away from integrating powerful features comparable to boost its functionality. Integrated with Yoast SEO, YITH WooCommerce Wishlist, and MailChimp for WordPress among others, it is definetly one template to be reckoned with. It is also fully responsive to work well with every device in all screen sizes. The Next is a multipurpose WordPress theme that can be used for any type of website you need, be it for business or personal websites. 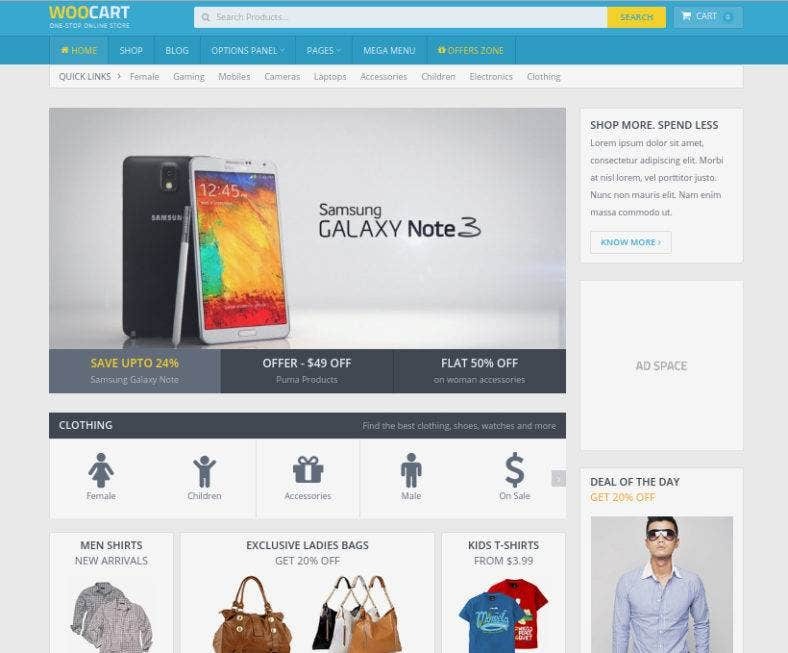 Loaded with some cool and awesome features such as a number of pre-designed layouts which can be modified through a drag-an-dop layout builder, this theme can also be used to build highly functional eCommerce websites. It uses a modular design pattern so that you can enable or disable features that you need and don’t need. This responsive WordPress theme can be as pretty as it gets. It perfectly suits any type of website with its extensive theme options which makes it super customizable. Verse is a multipurpose WordPress template as well, so, you don’t just build a digital shop with this theme; but also blogs and landing pages among others. It comes with 5 different navigation and menu style, 3 layout options, a dynamic sidebar and a number of rich typography. Increase your online sales with a modern, responsive, and highly professional WordPress theme such as WooShop. This modern and stylish WordPress theme is built for WooCommerce stores and is packed with lots of customization options and an excellent selection of other features. With a stunning and professional look over a responsive and mobile-ready layout, you are guaranteed to generate more leads and improve your sales and profits. Another premium eCommerce WordPress theme is WooCart, an easy-to-use and fluid responsive template that anyone can use to build different types of online stores. It features some special attributes just for sellers that will definitely enable you to sell more and earn more. SEO mastered and speed optimized, this template also includes AJAX Filters, AJAX Add-to-Cart and other powerful features that wil help boost your website’s functionality. Product is a WooCommerce theme that offers a unique and one-of-kind solution for your online stores and eCommerce shops. With its clean and static masonry grid style layout featuring a full-width slider header, this WordPress template is great to use for any types of products or services. A flexible and versatile theme, it also has an interesting choice of bold typography along with striking imagery that will definitely catch your audience’s attention and interest. In a different circumstance, the WooCommerce theme above presents a rather clean and minimalist aesthetic instead of the bold design of the previous one. Featured with multiple skins as well as a selection of pages; this multipurpose WordPress template fits well with different eCommerce websites for fashion stores, furniture shops, and more. It also comes with several demo sites that you can replicate through the one-click installation feature. 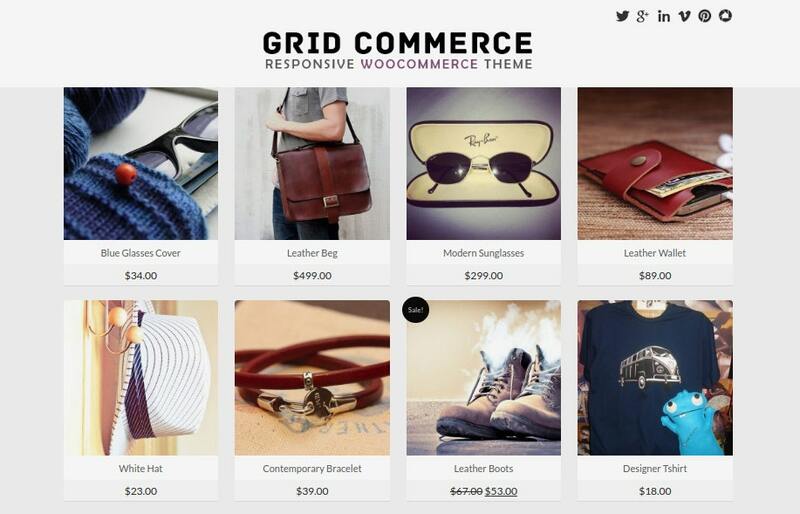 Based on its given moniker, Grid Commerce is a responsive WooCommerce template that has a grid-based design layout to showcase your products in a clean and well-organized manner. This theme is attributed by custom background images and colors, Theme Options menu capability, a theme video overview, and more which help its user in customizing and personalizing the theme to suit their needs and preferences. The theme is also SEO optimized. A responsive WordPress theme powered by the WooCommerce plugin, Rubick is a fresh template that comes with a modern and energetic design style. Built on a WPO and Bootstrap framework, it empowers website owner as they get a full range of rich features and options. These features include Product listing, Product Detail, Add to Cart, Checkout, Product Hover, and Quick view. Perfect to display clothes, shoes, jewelry, electronics or sports equipment. This beautiful WordPress theme is built upon the Unyson framework, thus, it comes with a drag-and-drop page builder to easily create pages, navigation Megamenus for an amazing interface, and a responsive and retina ready layout for a great look on all devices. Astana is integrated with the wonderful WooCommerce plugin that is powerful as it is extendable. These features enable you to provide full-pledged and trustworthy products in your online stores. Last but definitely not the least is Viva. A multipurpose WordPress theme that comes with WooCommerce features for you to create a responsive and versatile eCommerce website. It has three different styles available to make sure it fits any type of business. To create a highly-functional online store, this theme also provides a couple of portfolio page options, a grid or list product views, product image sliders, QuickView, product zoom, and much, much more. 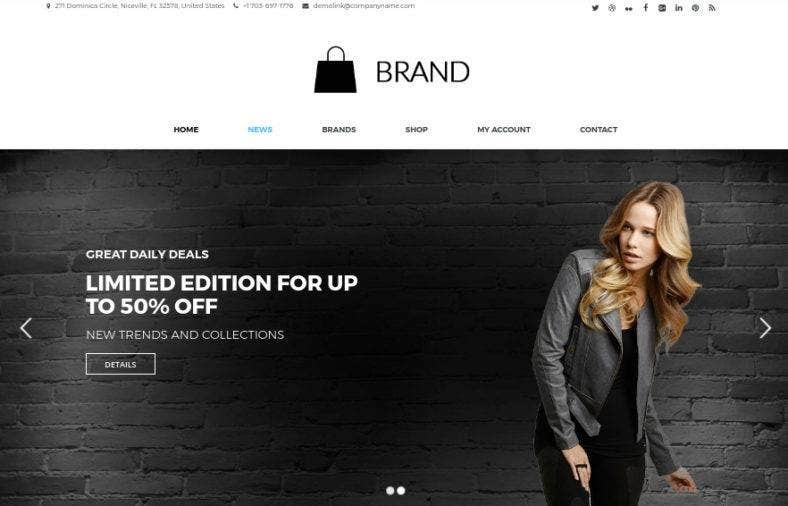 To end with, the themes and templates presented on this page are carefully chosen and curated to provide you with the best WordPress themes to use on your online shops and mobile stores. As all in integrated with every WooCommerce features, you are as well guaranteed that each template will give your sites the best functionalities that are modern and trendy.